Is this diddy Humax Freesat Free Time zapper box the best reason yet to cut the chord? With the introduction of its Free Time PVRs, the Humax HDR-1000S and Humax DTR-1010S, Freesat dramatically shed its somewhat austere image. With a roll-back EPG and closely integrated IPTV catch-up, Free Time proved to be a potent rival to YouView's subscription-free temptations. Now with the diminutive HB-1000S Free Time zapper box, Humax has delivered the logical evolution of catch-up TV. Unlike its stablemates, the HB-1000S isn't a PVR at all (there's no local hard drive), instead it relies on a network connection and apps to integrate all four mainstream TV catch-up services with the usual selection of 170 (ish) satellite-delivered TV and radio channels. But this box's cleverness doesn't stop there. Admittedly, the HB1000S probably won't win any design awards. 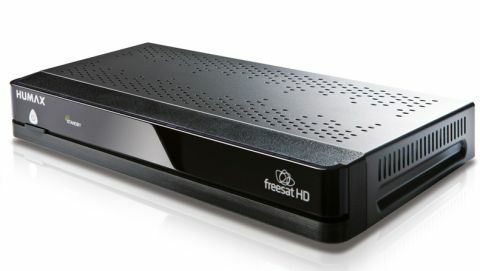 It's a utilitarian box distinguished mainly by its Freesat HD livery. Backside connectivity comprises a single LNB input, plus legacy phono outputs, USB connector, HDMI, optical digital audio output and Ethernet LAN port. The supplied remote control, though, is a full-size universal-learning wand, effectively the same as that supplied with Humax's bigger set-top boxes. The Free Time interface is immeasurably better than the first-gen Freesat front-end still commonplace on Freesat-enabled TVs. The Home page offers easy access to that retrospective TV guide which rolls both forward and backwards through channels. There's a Showcase area for curated programme highlights (good for a quick browse, although if your tastes are anything less than populist you probably won't often find much of interest here). Here you'll also find on-demand apps for YouTube, BBC iPlayer, ITVPlayer, 4OD and Demand 5. Other embellishments include a parental channel lock, as well as the ability to automate power up and power down, a nice little bit of eco management; you can preset both the wake-up channel and volume. And if you do need to timeshift recordings, there's an option to record to a USB device connected to the rear. Setup is straightforward and takes just a few minutes. Just connect the dish feed and hook the receiver up to your network or router, and you're ready to view. HDMI and Ethernet cables are provided in the box. If you don't have a dedicated wired network connection handy, consider utilising a powerline connection. Failing that, the Humax HB-1000S is compatible with the brand's Wi-Fi dongle. General usability is great. There's no sense that this STB is in any way a budget offering. The HD interface is quick to navigate and the animated menu transitions are fast if a tad jerky. We love the way the main TV window retreats into a PIP when each menu item is summoned. The HB-1000S turns out to be a pretty darn good media streamer. If you have content stored on your network, Media Share functionality offers a broad range of codecs and container compatibility. This DLNA-certified box will play ball with MKV, AVI, MOV, MP4,WMV and .ts files. Audio support extends to MP3, M4a and WMA. There are also dedicated Video, JPEG Photo and Music readers for connected USB sticks, although here audio support is limited to MP3s (however you do get album art). USB video file support covers AVI, WMV, MKV and MP4. Interestingly, the unit doesn't have to be exclusively used with Freesat. An STB mode drops you out of the proprietary Free Time UI, letting you take a more gregarious look at what's available on your sat feed. If the HB-1000S is fed by a standard Sky dish, this means a channel search will deliver a largely impenetrable smorgasbord of stuff. Crucially, the TV listings guide doesn't function in STB mode, and free channels are jumbled in with those encrypted. After scratching your head, you'll soon hanker after the succour of Freesat. Image quality is largely excellent. Native HD channels look as crisp as compression allows, while upscaled SD channels appear pleasingly coherent. The box itself will upscale to 1080p. The HB-1000S will output multichannel Dolby Digital Plus from both the HDMI and digital outputs, when it's broadcast. The viewing experience with the various catch-up services is predictably a little bit disparate, but that only because these are unconnected services. IPTV image quality is surprisingly good, provided your broadband pipe is fast enough. We used the box with a fibre service and didn't experience any buffering or break-ups. Ultimately, the HB-1000S should be considered a modestly fabulous alternative to pay-TV propositions from the likes of Sky, Virgin Media et al as well as Freesat's own PVRs. It's just the ticket for those looking for a low price way to shed the yoke of subscription TV. Unlike YouView, this box can even double as a competent media streamer, and its catch-up is comprehensive enough for us not to bemoan the absence of a local hard drive. All things considered, the Humax HB-1000S offers a surprisingly superior TV experience for a paltry £99.95. It truly is a tiny telly titan.